I enjoy painting. I love Art. I love to paint with Acrylics, Watercolor and oils. I also love Mixed Media. 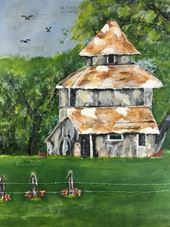 I love painting old barns, homesteads, florals and much more.